There has been a lot of talk in recent times about humour and the boundaries within which it needs to operate, assuming that we accept that boundaries need to exist. Wit, mockery, satire, slapstick, light hearted, playful, banter, provocative, insulting, shocking there is a host of sub genres that can be found if you start peeling the layers. Brands have, for as long as advertising and communication have existed, relied on humour to get their message across. Of course, with varying degree of success. We have in a previous post discussed that communication with an emotional appeal tends to fare better. Humour in that sense is a more broad based emotion than love (of any kind). Hence, has been used for a broader set of products & brands. So is success guaranteed if the communication has humour? Does success of communication necessarily translate into sales or business success? With all due credit to the various studies that have been carried out don’t seem to provide any conclusive evidence. Therefore, No and Can’t Say, would be the most honest responses to the questions above. How then do we assess or plan for it? In some form or the other the answer would lie on a graph with relevance and recall as the axes. • Positioning the brand as one with a light hearted view of the world. Humour and playfulness therefore becomes a key element of the brand’s personality. • Presentation: This may be a campaign specific choice where in a brand opts for humour as a means of delivering a message. Relevance would again be something to watch out for. Some brands are able to hit the nail on the consistently, some struggle, whilst others just do not get it! 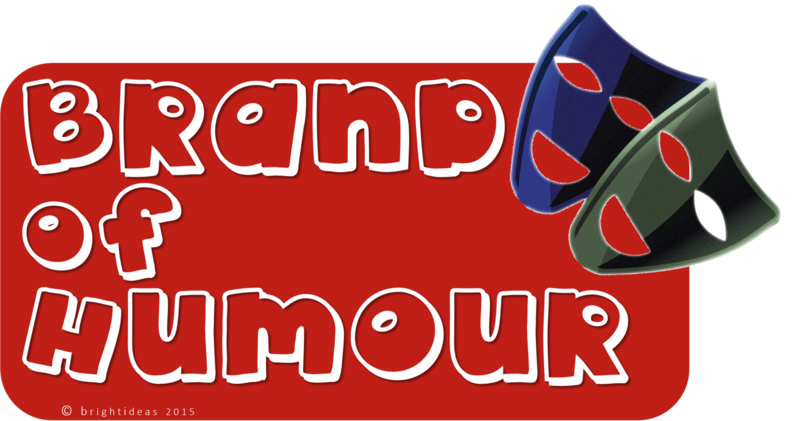 • Association: Depending upon who the brand’s audience is, a brand may choose to associate with properties that are humour based. Again, as with any other association relevance and fit with the overall brand is important. Given the myriad media choices available and the fact that in this day and age consumers are a part of the brand definition humour is a tight rope to walk too. Brands that choose this path have to walk to a consistent rhythm and in a social 24×7 context live upto the personality especially brands interacting on a constant basis in the sociosphere. The good part is the sociosphere offers feedback as a brand you can gauge whether you are flat or tickling rib or stirring intellect. While new highs are being achieved with regard to what can be said or done in the name of humour there are new lows that are being set too, Charlie Hebdo and the AIB Knockout closer home are cases in point where humour did not go down well with some. It doesn’t need to either. Needless to say any freedom needs to be exercised responsibly.